Thank you to those who were able to join us for our OBI/OTRADI 10-Year Anniversary Celebration! 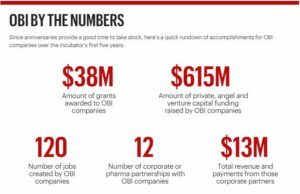 We’re proud to report that our OBI Anniversary Celebration and a retrospective of our startups’ achievements was featured in a wonderful write up in the Portland Business Journal. NOTE: If you do not have full access to Portland Business Journal, clink here for a PDF of this article. More than 250 people attended our anniversary celebration, including Oregon legislators, OTRADI partners from research universities, incubators and accelerators across the state, entrepreneurial and startup leaders from OBI and beyond, Business Oregon, Oregon Bioscience Association, Technology Association of Oregon, Oregon Entrepreneur Networks, angel investors, venture capital investors, and bio and digital health leaders from across Oregon, to support OBI/OTRADI and our amazing startups. We could not ask for better partners and supporters or a more robust community of bio-entrepreneurs! Check out the wonderful video about OBI and OTRADI startups that our partners at Built Oregon and PIE created for our 10-Year Anniversary Celebration! 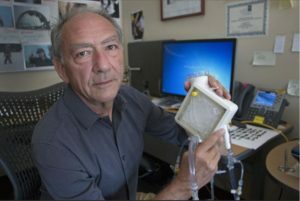 Aronora was granted FastTrack Designation for their proCase, an enzyme intended to reverse blood clot formation without increasing the risk of bleeding. This FastTrack designation allows for drug candidates to qualify for accelerated FDA approval. NOTE: If you do not have full access to Portland Business journal, click here for a PDF of this article. 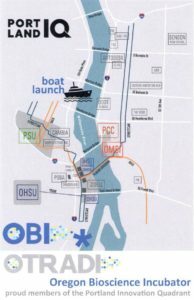 OBI has an extensive BioMentor program available to provide pro bono advice and assistance to promising life science and digital health entrepreneurs across the state of Oregon. 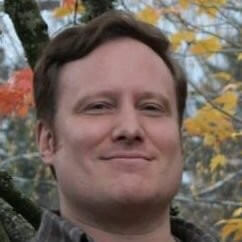 This month we are highlighting OBI BioMentor Kevin Clark. As a BioMentor, Dr. Clark mentors in areas of partnership development, venture capital investment, and grant/endowment financing for business growth and sustainability. He also advises on product trends, basic and clinical neuroscience/microbiology protocols, and IP management strategies. Click here to learn more about our BioMentor program and to see our full network of BioMentor contacts. To connect with BioMentors, please fill out this form. You are welcome to choose your preference of BioMentors or we are happy to choose who best to connect you with. 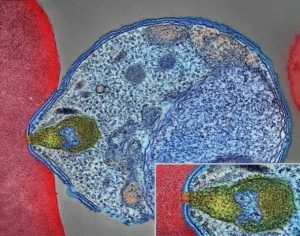 Portland’s own DesignMedix may be the startup that cures malaria some day soon. OTRADI is proud to have contributed scientific work years ago, testing these potential drugs for DesignMedix. Congratulations to DesignMedix and the thriving bioscience entrepreneurial community! Partner Event: Tonkon Torp is hosting a Tonkon Talks – How to Accelerate Growth on a Shoestring Budget on October 3rd. Register now. Free to attend. Partner Event: OSU is hosting The Promise and the Peril of Artificial Intelligence and Robotics on October 23rd. Register now. 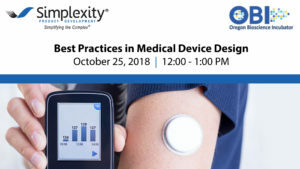 OBI Event: Join us for a Lunch & Learn on Best Practices in Medical Device Design on October 25th from 12pm – 1pm. Register now. Free to attend. OBI Event: Join us for our monthly Accelerate Biotech & Digital Health Happy Hour on October 4th. Register now. Free to attend.